The seminar brought to the table insights about diamonds – their 4Cs, their natural characteristics, differentiation between natural and man-made diamonds and more, leaving participants better informed at the conclusion of the seminar. An enthusiastic crowd of over 600 students, jewellers and diamond enthusiasts gathered to attend a 2-day seminar organized by IIG (International Institute of Gemology), in Mandalay – Myanmar (Burma). It took place between 22nd September to 23rd September 2018, which was followed by a 5-day practical workshop between 24th September and 29th September and a seminar in Yangon between 29th September and 30th September. During the practical workshop on diamond grading, the students grew tremendously and could distinguish blemishes, inclusions and judge international colour grades. The 5-day workshop was insightful enough for the students to gain experience as good as a 2-year experienced diamond grader. 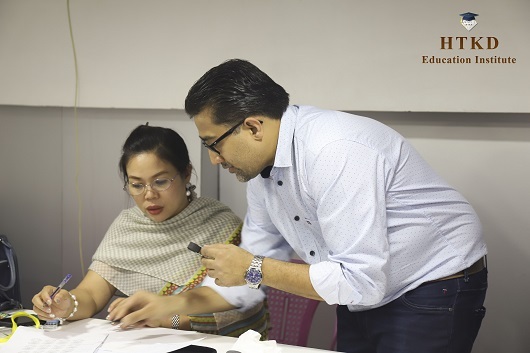 This was the third iteration of the seminar held in Burma which was spearheaded by Mr Rahul Desai, Managing Director of International Institute of Gemology - IIG. His dream is to bring the Indian expertise of the Diamond Industry to the world, and he plans on doing so gradually by holding such events across the globe. “When it comes to the Diamond industry, you cannot call yourself a professional Diamond Grader unless you hold a loupe in your hand and have some practical experience!” said Rahul Desai, MD - International Institute of Gemology. Headed by Managing Director, Rahul Desai, IIG traces its roots to a cutting and polishing factory established by Mr Kantilal Desai in 1965. The factory imparted valuable training to its 500-strong workforce and eventually transformed into a full-fledged gems and jewellery institute called Shri Rajendra Diamond Classes (SRDC) in the early 1980s. The institute has already trained over 1,00,000 students from around the world since its inception and is affiliated with the University of Mumbai. While it now functions under the new brand identity of IIG, it continues to offer in-depth courses on gems, diamonds, jewellery designing and merchandising.